Can Dogs drink Almond Milk? Why to avoid it and what to choose instead! Most animals are only designed to drink milk from mammals when they are little. As they mature, they no longer possess the lactase enzyme required in large enough quantities to break down the lactose the milk contains. But what about Almond milk? Can dogs drink this instead? Technically, yes, they can. However, it is not recommended for dogs of all ages; puppies shouldn’t have almond milk either. And almond milk with chocolate, raisins, and additional extras, such as sweeteners, can even be dangerous for dogs. Almonds in their pure form can cause digestive upsets in dogs as once again they are simply not designed to digest them. If ingested in large enough quantities, dogs can suffer from vomiting or diarrhea. The digestive system of dogs is designed to efficiently digest diets high in protein with limited amounts of carbohydrates. Almond milk is feeding your dog almonds in a much more diluted form; the milk itself rarely contains more than a handful of almonds per eight ounces bottle. If your dog consumes a little bit of almond milk from time to time and they are not allergic, they are unlikely to have any problems. Another important thing to take note of is that your dog will not receive any beneficial nutrients from the almond milk. 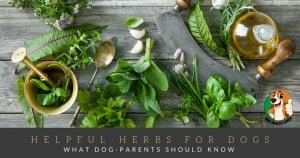 It is, therefore, an expensive addition to their diet that apart from being a bit different, is not going to help your dog in any way. If your dog receives a large amount of almond milk in its diet, it may end up nutritionally lacking in other aspects due to an imbalance. BTW almond butter isn’t a good idea for dogs either. Original, unsweetened almond milk only for dogs! Almond milk in its original form is safe for dogs or at least not harmful in small quantities. Almond milk that is modified (for instance with vanilla and coconut) can also have artificial sweeteners such as xylitol included. Xylitol is very poisonous to dogs, and if your dog has ingested milk with this in it, the best thing to do is to call your vet. Can puppies have almond milk? Never wean puppies using almond milk. Puppies should be raised on their mother’s milk, being weaned onto soft starter foods when they are old enough. If mom isn’t producing enough milk for any reason, use a specialist puppy formula instead. It will be specially formulated to contain all the nutrients they need. As already mentioned, regular cow milk and dogs isn’t a good idea either because many dogs are lactose intolerant. If you can’t keep your dog away from milk at all, goat’s milk might be an option. Overall, a little bit of all natural almond milk is unlikely to harm your dog in the long term. Also, dogs have a hard time digesting almond milk. 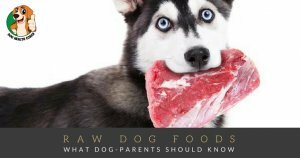 It has no nutritional benefits, and there are many other more preferable treats that you could be feeding your dog instead. Did we miss anything? Please help us improve and share your thoughts in the comment. My 13 year old dog loves almond milk. He drinks a cup a day and has never had any issues. It is good for him. This article is useless. Hi Sardine! Thanks for sharing your thoughts. Dogs differ in their response to certain foods. Some dogs are allergic and/or are lactose intolerant, which can pave the way for a variety of problems. It’s good that you’re dog has no problem consuming almond milk on a regular basis. Considering that almond milk lacks essential nutrients, it is a good idea to make sure that your dog is on premium quality diet to ensure that his daily requirements for essential nutrients are meet adequately. Yeah, you didn’t mention what the substitutes would be. Hi Steve! Thanks for dropping by. Some good substitutes for almond milk are lactose-free milk and goat’s milk. Compared to cow’s milk, goat’s milk can easily be digested in the body. Its fat molecules are one-fifth the size of those that are present in cow’s milk. Also, raw goat’s milk is a viable source of probiotics that have been demonstrated to help with many chronic health issues. As for puppies, it’s a good idea to ask your veterinarian for the right milk replacer that can sufficiently meet their nutritional needs. Whatever you may choose to give to your pet, always remember that the key is to give in moderation or as an occasional treat for your pet. My lab and pitty each 5-7 frosted mini wheats soaked in milk with me every morning in addition to their breakfast. They are beggers. Today I used silk vanilla unsweetened almond milk. My lab wouldnt eat his. Garbage dog pit bull scarfed one down. So lab ate one. Lab puked 2 minutes later. The pit ate 2 more, and puked 5 minutes later. Yeah…. avoid that stuff and your dog. It had no sweeteners.